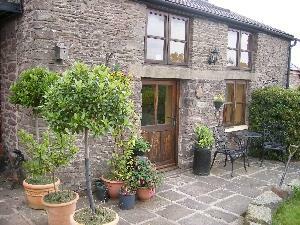 The Granary01633 422888work Bed & BreakfastWe'd like to think we're the friendliest, most relaxed, best priced, versatile accommodation in the South Wales area. We provide a mixture of Self Catering and B&B, with freshly cooked breakfast at a time to suit you. All rooms are en-suite. If you want 7 star luxury we're probably not the place for you, but since our longest guests stayed for 2 and a half years, we must be doing something right! Ideally situated in beautiful countryside, yet only minutes from the M4. We have plenty of private off road parking. We overlook the Celtic Manor 2010 Ryder Cup course, and only half an hour from Cardiff City centre. We can also provide transport to and from events if you would prefer not to drive, including regional airports. We'd like to think we're the friendliest, most relaxed, best priced, versatile accommodation in the South Wales area. We provide a mixture of Self Catering and B&B, with freshly cooked breakfast at a time to suit you. All rooms are en-suite. up the hill (signposted Llanhennock). Half a mile along the lane - you're there! a flyover back to the junction 25 roundabout.